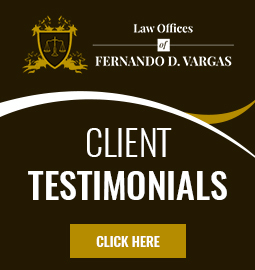 The National Trial Lawyers is a professional organization composed of the premier trial lawyers from across the country who exemplify superior qualifications as civil plaintiff or criminal defense trial lawyers. Preeminent Rating / Client Review Martindale Hubbell / Lawyers.com 2015 Distinction based upon client recognition for excellence in quality of service, overall value, responsiveness, and communication ability. 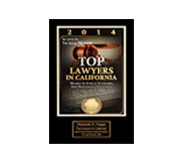 Selected by peer recognition for excellence in the field of Personal Injury. Selected by peer recognition for highest in ethical standards and professional excellence. New York based biographical publication that selects and distinguishes top Latino lawyers throughout the world who have attained a recognizable degree of success in their field of endeavor and thereby contribute to the growth of their industry and culture. Recognized on AVVO.com for being a top contributor by providing free legal advice in a legal question and answer forum. 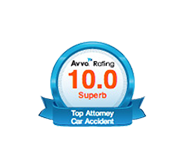 The AVVO rating is an evaluation of an attorney’s background based upon the lawyer’s number of years in practice, disciplinary history, professional achievements, and industry recognition all of which are relevant in evaluating a professional’s qualifications. Preeminent Rating / Client Review Martindale Hubbell / Lawyers.com March 2013 Distinction based upon client recognition for excellence in quality of service, overall value, responsiveness, and communication ability. Distinction based upon client recognition for excellence in quality of service, overall value, responsiveness, and communication ability. The NAOPIA badge identifies those attorneys that have earned the National Academy’s most prestigious honor.